We all have those staple go to dishes in our households; those dishes we make almost every week. It’s a dish we know the whole family will enjoy and it’s pretty quick and easy to knock together. For me that dish is Pasta. I know the girls will sit down and eat it with minimal fuss and I know that after a busy day it can be ready super quickly. As you guys may well have read I have been using the Be Food Smart App a lot recently to take a closer look at what we’re eating and find ways to make the dishes we love a little bit healthier. 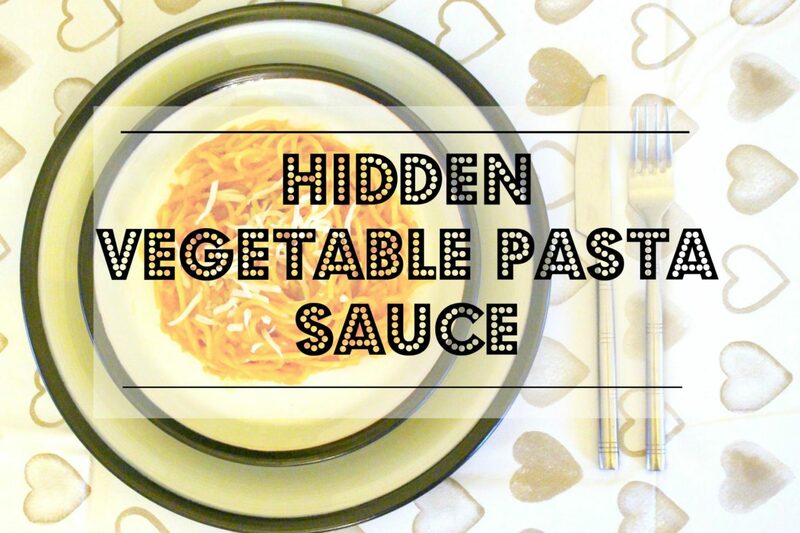 I put one of my favourite tomato pasta sauces under the scanner and was surprised to see it had more saturated fat, sugar and salt than I would have liked! I took on board the app’s suggestions to swap out sauces and experiment with some more home cooking and did just that. I made my own fresh sauce and watched carefully to see the girls’ reactions to this delicious sauce full of hidden vegetables. It got a huge thumbs up so I thought I would share it with you all and give you some dinner time inspiration. Gently fry the onion and garlic in a little olive oil until lightly browned. Add the vegetables for a further 5 minutes to slightly soften the veg. Pour in the tinned tomatoes and stock. Using a low salt stock cube reduces the amount of salt in the dish. Add the tomato puree, give it all a good stir and allow to simmer until reduced down around 20 minutes. 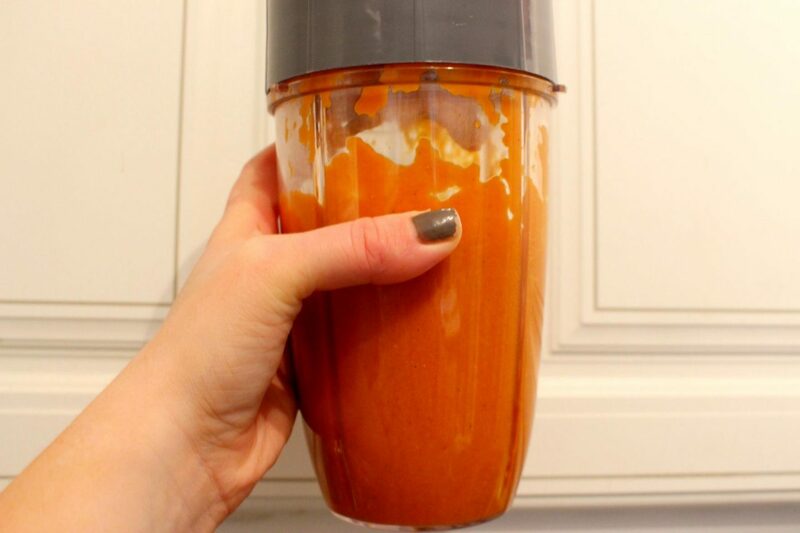 Blitz your sauce until smooth, any kind of blender or hand blender will do the job! 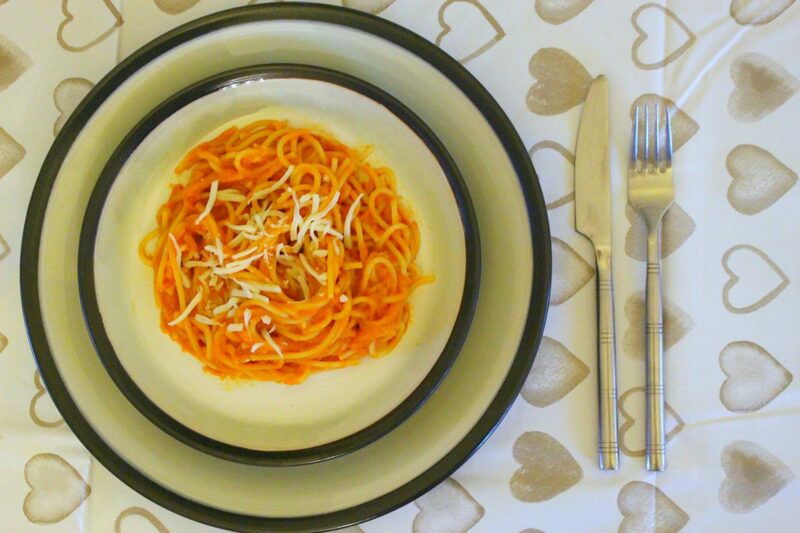 Serve over your favourite pasta and top with a little bit of grated cheese (optional). 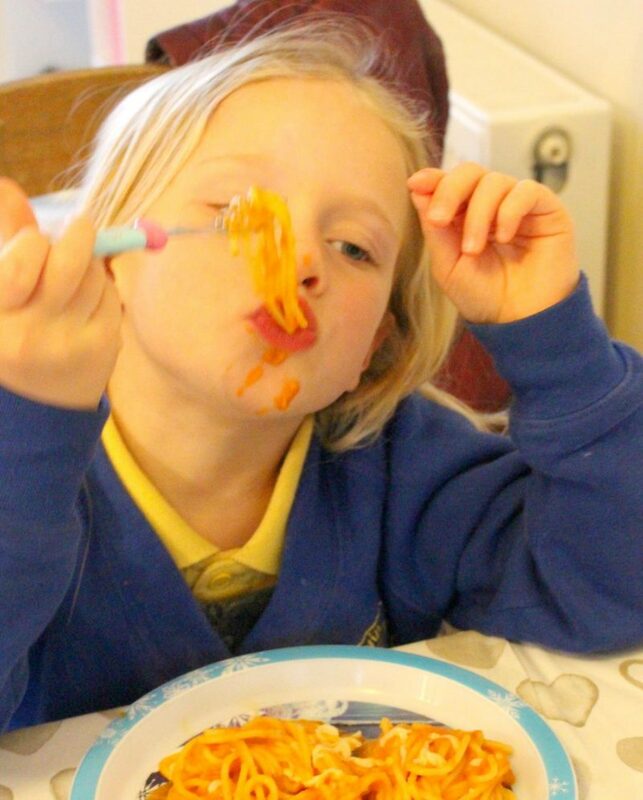 For children who claim to not like peppers, onion and tomatoes we had clean plates all round, all those veggies in there and the kids were none the wiser. Not only did I manage to reduce the sat fat, salt and sugar within the dish I also managed to sneak in more of their 5 a day with minimal effort. 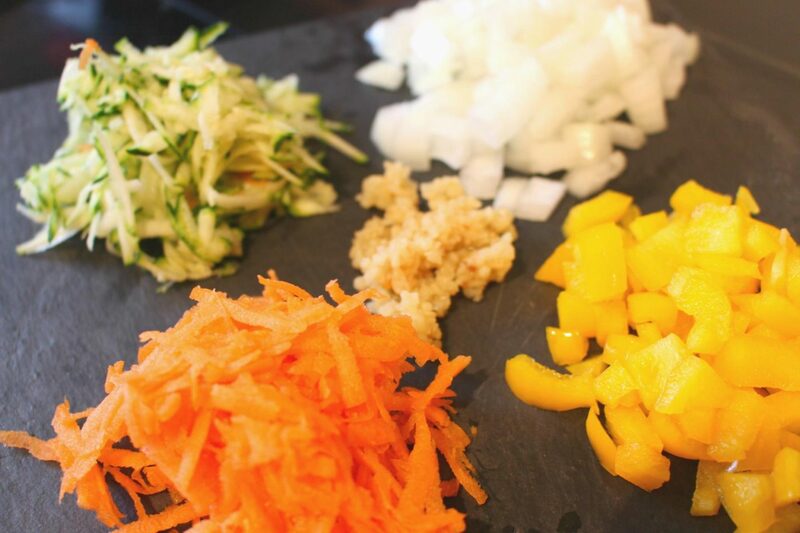 This sauce is really versatile you can add in some chicken, use up any left over veg and best of all you can make a huge batch and pop it into bags in the freezer ready for those last minute meals. Disclaimer: This post is written in collaboration with Change4Life. All thoughts and opinions are my own. Next Post Our Summer Plans!